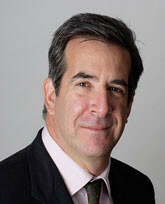 In 2010, John Rossant founded the New Cities Foundation. He believes it is imperative that the public and private sectors work closely with the academic and non-profit communities to improve the quality of life and work in 21st century global cities. From the outset, the Foundation has provided a global platform for high-level exchange and debate on key urban issues, while also acting as a “think and do tank” to incubate, promote and scale urban innovations, with a strong focus on cross-sector collaboration. John Rossant is also Executive Chairman of Geneva-based PublicisLive, the global events management company responsible for production of the world’s most prestigious international conferences, such as the Annual Meeting of the World Economic Forum in Davos, Switzerland. He holds advanced degrees from the University of Wisconsin, Madison and the American University in Cairo. A former journalist, John Rossant held several senior editorial positions at Business Week, including Europe Editor, as well as Paris, Rome and Middle East correspondent. He has received a number of prestigious awards, including the Overseas Press Club Award and the German Marshall Fund’s Peter Weitz Award for Distinguished Reporting.